If you’ve been hurt by someone else’s mistake, negligence or misconduct then a Muskogee personal injury attorney can provide you the guidance to fight for the compensation you may deserve. 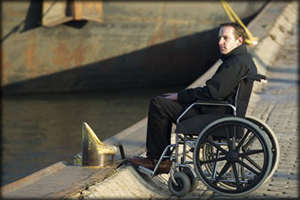 Personal injury cases cover a wide variety of topics including automobile accidents, dog or animal bite cases , along with slip and fall claims, and many more. The medical bills may not go away, you must think beyond the painful moments now and think of a possible lifetime with reoccurring doctors, specialist and therapist appointments. Don’t miss your opportunity to avoid paying your own medical costs for an accident that was someone else’s fault. A personal injury attorney at our Muskogee office can provide assistance for a wide variety of cases. Dog bites, car wrecks, medical negligence and premise liability all involve potential personal injury claims. The liability requirements for various types of personal injury can make a difference – for example, a swimming pool accident would involve different liability standards if the person hurt was a paying customer at a swimming pool, was an employee of the company that owned the pool or was trespassing when they were hurt. A motel owner who operates a pool owes a different standard of care to guests than a homeowner who invites neighbors to share backyard pool. Medical Malpractice: Doctors, nurses and other medical staff are suppose to help sick people but sometimes a procedure doesn’t turn out as planned. Medical mistakes often happen more than you might think at a wide variety of healthcare facilities. Here’s a chilling statistics about medical mistakes from the U.S. Department of Health and Human Services Office of Inspector General that recently released a report that said 180,000 Medicare recipients die each year from hospital mistakes. If you are a loved one have been injured by a medical mistake a Muskogee personal injury attorney could provide answers to your many questions. Motor Vehicle Accident Attorney: If you were hurt in a car, truck or semi-truck wreck due to someone else’s negligence a personal injury attorney at our Muskogee office could provide a confidential consultation about your specific case. It’s important to note that the other guy’s insurance company may be quick to come after you with an offer to end the chance for any possible litigation due to their customer’s mistake. That’s why you should never sign something before discussing your options and understanding what in fact you are being asked to sign. Slip and Fall Cases a.k.a. “Premises Liability: Here in Muskogee County or around Oklahoma it’s a simple obligation: businesses and property owners owe it to customers and guests to exercise ordinary care so that their premises are reasonably safe. If you were hurt because you fell on someone else’s property and were injured then you could be entitled to compensation. Contact a Muskogee slip and fall attorney to find out if someone might owe you for medical expenses incurred when you suffered a fall. Contact the Muskogee lawyers at the Wirth Law Office – Muskogee for a free consultation today with a Muskogee personal injury attorney at (918) 913-0725 or call toll-free at (888) 447-7262. If you prefer to contact us by email, use the form at the top of this page.